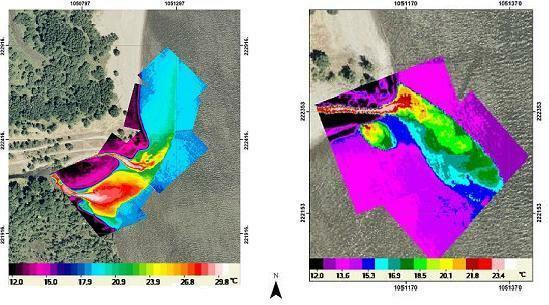 Mixing zone modeling, outfall design, monitoring and consulting services. by our patent-pending remote sensing platform. MixZon Inc is your source for sales, support, and consulting for CORMIX, the USEPA-supported simulation and decision support system for environmental impact assessment of mixing zones resulting from continuous point source discharges. The system emphasizes the role of boundary interaction to predict mixing behavior and plume geometry. The CORMIX methodology contains systems to model and design single-port, multiport diffuser discharges and surface discharge sources. Effluents considered may be conservative, non-conservative, heated, dense brine discharges or contain suspended sediments. Advanced information systems provide documented water quality modeling, NPDES regulatory decision support, visualization of regulatory mixing zones, and tools for outfall specification. The CORMIX web site contains updated material about CORMIX development.